(FIFA.com) The Philippines have long been considered one of Asia's sleeping giants. The country is deeply embedded in the continent’s football history, from being involved in Asia’s first-ever international fixture in 1913 to providing the birthplace for the Asian Football Confederation (AFC) 31 years later. Yet, until recently, the Philippines – the 12th-most populous country in the world, with over 100 million inhabitants – had never qualified for the AFC’s flagship tournament. 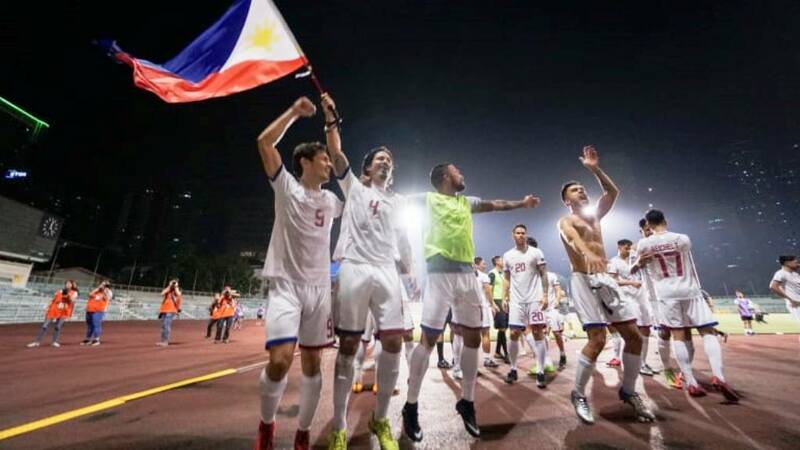 It took until March of this year for that painful 62-year wait to end, and qualifying for the Asian Cup has also taken the Azkals to an all-time high in the FIFA/Coca-Cola World Ranking. While their position of 113th might not seem especially lofty, it should be considered that the Philippines languished as low as 191st in 2005, and had been beaten 13-1 by Indonesia three years earlier. Now, they are ranked ahead of regional rivals such as Bahrain, Jordan, Tajikistan and Thailand. It was a dramatic 2-1 victory over the Tajiks in Manila’s Rizal Memorial Stadium that secured this historic qualification, and there was a fairy tale element in the way the win was secured. The decisive goal came, after all, in the 91st minute - and was scored by the Azkals’ talisman and long-suffering captain, Phil Younghusband. Moreover, it was the former Chelsea trainee’s 50th goal for his country. The Asian Cup success, and subsequent nine-point ranking rise, capped a memorable few months for Filipino football. In January, there was a stunning AFC Champions League victory by Ceres Negros, one of the country’s biggest clubs, over Australian A-League outfit Brisbane Roar. And while basketball and boxing, thanks to the successes of Manny Pacquiao, have tended to dominate the country’s sporting landscape, football is definitely on the up. Thomas Dooley, a veteran of USA’s 1994 and ’98 FIFA World Cup™ campaigns, is the coach responsible for leading the Philippines to uncharted territory. Though out of contract and facing an uncertain future, the former Stars & Stripes captain is confident that recent triumphs will lead to more players from the vast Filipino diaspora declaring for the Azkals. "You have players in Germany playing in the first division, who might have a chance to play for Sweden or Denmark, instead of playing for the Philippines because they're qualifying for the European Championships or the World Cup," Dooley told Reuters. "What do we have to offer? A beautiful country and playing for your country - but we need more. "But if we get to the Asian Cup and we are in the top 100 in the world and are more visible and people are talking about the Philippines and what's going on, then when those players are making those decisions, they will say: I want to go. We have lined up players already that would like to come and they are waiting. Waiting for what? Qualifying for the Asian Cup is very interesting for them. "That could be the spark and it will spread in all directions. The potential is there - we just need to have the plan."